SINGLE OR DOUBLE WALKING LOOP AROUND THRIPLOW. 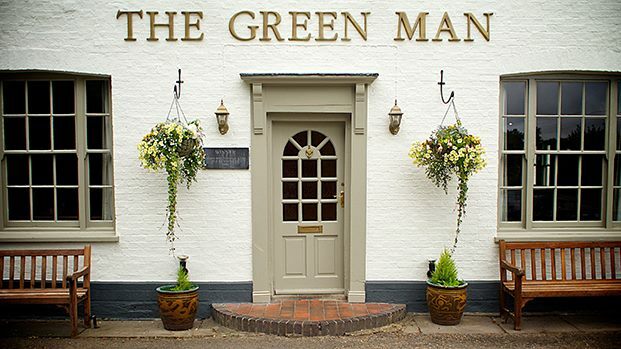 Starting point: The Green Man (That's us! ), 2 Lower Street, SG8 7RJ. 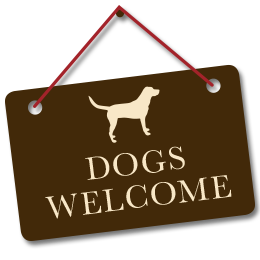 If you are popping in for refreshments afterwards, feel free to park in the pub car park, it will make it more convenient later on after you have gorged on our culinary delights! These two walks can be done separately, each lasting about 1½ hours, or done as one longer walk, taking a short three hours. Not particularly well signed, but generally good underfoot. Makes use of a designated footpath, and permissive paths, courtesy of Thriplow Farms. Good views, and fine houses in the village. Walk 1: After about a quarter of a mile down Church Street, turn left along bridleway, with finger post sign. After a long half mile aong a wide track swing right to pass fishing lakes, and through a wooded area. When the trees end, bear right, and then right again, skirting around a housing area, and walking alongside the KWS buildings. Reach minor road (Church Street), turn right. For walk 1 only, carry on up Church Street and turn left along School Lane back to The Green Man. 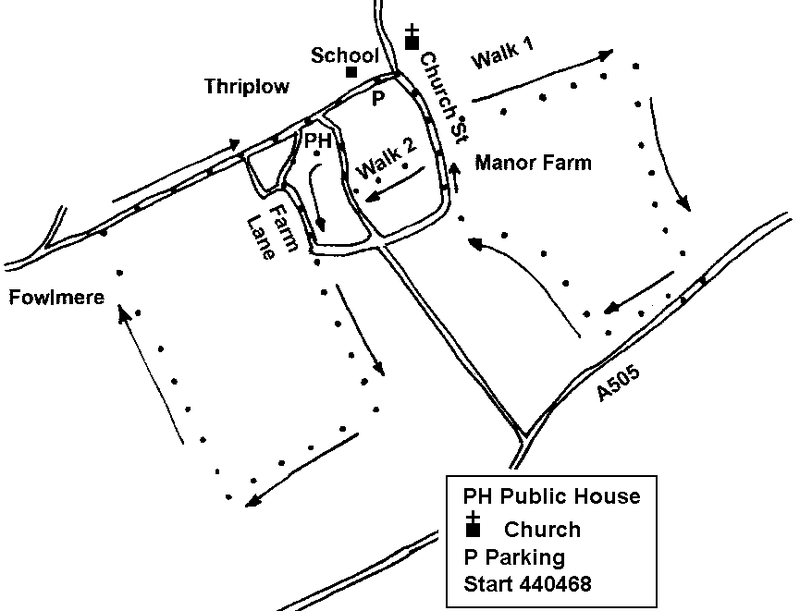 If wishing to do walk 2, take footpath to left at Manor Farm, then follow instructions below. Walk 2: Follow this footpath past back gardens and tennis court to emerge on to road. Turn right and after 2/300 yards turn left along another footpath, passing gardens. Emerge on to road and turn left, and left again along tarmac road (Farm Lane). At next junction go straight ahead on farm track, and carry on forward with the smoke of the Pet Crematorium as a marker straight ahead, to substantial hedge. Turn right, and walk with hedge on left to distant barn, to meet farm track. Turn right, follow this track with view of spires of Fowlmere to the left and Thriplow to the right. At main road, turn right: there is a narrow pavement on the right hand side of this road. Follow road back into Thriplow and back to the refreshing beer and delicious grub at The Green Man. Our menu at the Green Man may be small, but it is seasonal, daily changing, and contains lots to get excited about. All of our dishes are cooked to order and the menu changes everyday to fit in what we can source from local suppliers. Our aim is to deliver truly great British pub food. Good, honest ingredients, executed well, to create a menu worth talking about, and returning for. We are known for our variety and high standard of real ales, but that's not all we're pouring. We have sommersby cider and Holsten Vier lager on tap, and a range of bottled beers and ciders. If beer is not your thing... we have a small but well thought out wine list, so there is something to everyone. To reserve your table, you can call, email or drop in and speak to us face to face.